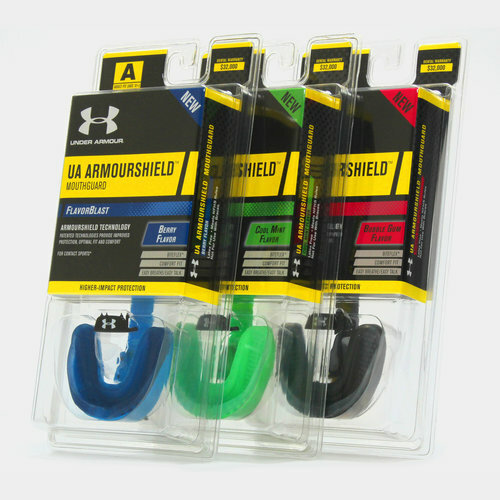 Delivering the protection, fit and retention you need for any contact, the Under Armour Armourshield Flavour Blast Adult Mouth Guard uses Bite Flex™ and ArmourPlate™ technologies to provide higher-impact protection to the teeth, jaws and gums. 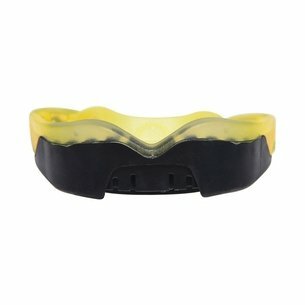 For the best feel possible, the contoured and patented polymer material shrinks for a secure fit so the mouth guard stays firmly in place without compromising on breathing or communication on the rugby field. 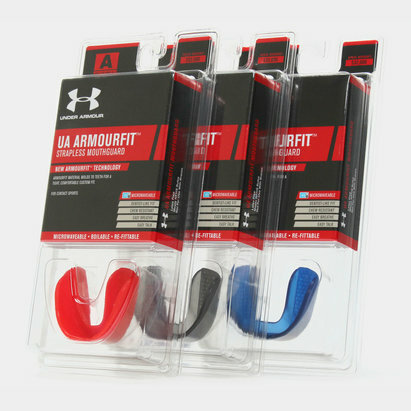 In terms of actual protection, the ArmourPlate™ insert delivers improved performance while Bite Flex™ helps absorb energy on impact. With a variety of colours and flavours to choose from, the embedded flavour beads deliver long lasting taste while also being gluten-free, kosher and sugar-free to help protect your mouth in more ways than one.